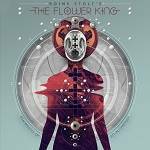 More information: New album from Roine Stolt's The Flower King project featuring a number of guest musicians, including Jonas Reingold, Hans Froberg, Michael Stolt, Marco Minnemann, Max Lorentz, Zach Kamins, Rob Townsend and Nad Sylvan. Stolt says: “Unlike many later albums, where recordings have continued over months, this new album has been a fairly quick and effective affair – we started tracking in Holland at the beginning of July and mix was done by mid-August!" “Like that first The Flower Kings album, I’m the main lead vocalist here again – it works as these lyrics are important to me and resonate with my view of the world."